So here’s what happened. Right at the start of the month I ended up with a massive pain in my left arm and were unable to even sleep from how much it hurt. I was going back and forth between hospitals to figure out what was going on and it was a total mess. Following that I had further hospital visits for another reason as well as a trip abroad happening in the middle of it all. So I never had the time to sit down and get this post up in decent time. But I’d not forgive myself for skipping a month, so here we go! 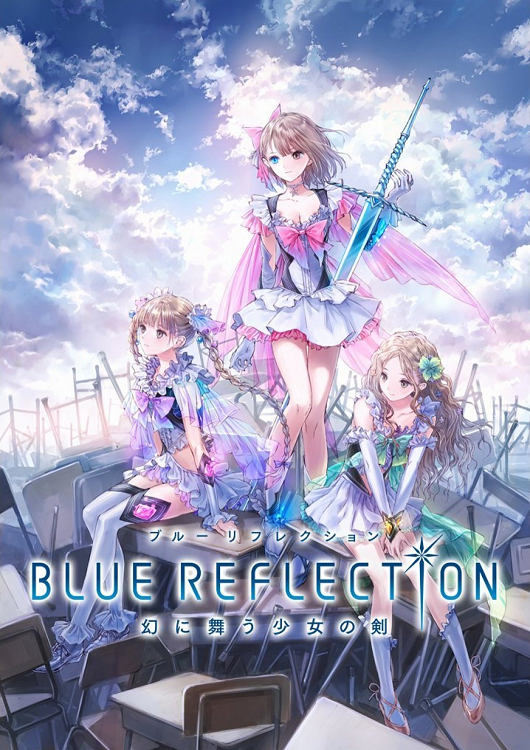 The music video based on the manga was popular enough to have had a second animation project greenlit as well, meaning we might be one step closer to a full anime adaptation (fingers crossed!) at this rate. If you’ve not started reading Kase-san yet you are doing yourself a massive disservice as it’s easily the best localized Girls Love book currently releasing. Here’s a classic. Sweet Blue Flowers, or Aoi Hana, tells the story of Akira and Fumi, two former childhood friends who end up meeting once again. While Akira is excited to rekindle their friendship, she soon learns that Fumi is struggling with a broken heart as the person she was in love with, an older woman, has gotten married.. Dealing both with the subject of acceptance as well as the self-loathing that can occur from feeling “different” regarding your sexuality, Sweet Blue Flowers has long been a favourite among Girls Love readers and I’m glad it’s finally coming west in an official form. The series was adapted into an anime in 2009 which can be watched on Crunchyroll in certain regions. So, this is a bit late as the series has actually ended already. But I didn’t realize at the time of writing the current releases back in July just how great and gay this series would be. Hina Logic is a spinoff of the cardgame and anime Luck & Logic, an anime I personally found to be absolute trash. However, Hina Logic is a bit different from the main draw of the franchise. It’s a magical girl anime set in a world where there’s no evil left to be defeated. It’s one of the funniest and most charming shows of the year and manages to have a ton of subtext and canon girl/girl representation along the way. I don’t want to spoil the series, so please, just sit down and watch it. If you like slice of life comedies and magical girls, this is the series for you. It’s an absolute delight. So, how high does it go on the Girls Love scale? Well, based on my friends who played the Japanese game it mainly toes the subtext line with a few exceptions, there are gay girls at school and some of them with direct crushes on other girls. So while it’s not a lesbian dating sim, it does have content for those who find other games in the genre perhaps a little too heterocentric. And there we are. Better late than never, right? Right? Hopefully I won’t have a bunch of health issues get in the way of October’s post. Thanks for joining me another month for some Girls Love!